But Won’t Laziness Take Over? Are you busy most of the time? If you’re an achiever, you feel anxiety and guilt when you aren’t working or doing something productive. I often feel this tension. If you have children, how much idle time do they have? Most children today have schedules like CEOs, packed with back-to-back classes and extracurricular activities. Children end their day exhausted, needing to sedate themselves in front of a television just like their parents. Our culture has a bias toward achievement. Busyness and productivity are signs of success. But what stands in the way of achievement and success? The nemesis of achievers is laziness. In Christianity, it’s one of the Seven Deadly Sins called sloth. Sloth is failing to do things one should do. Some call it evil when we fail to act. The achiever is an accepted member of our society; the lazy person is not. And when an individual or group shuns a quality of consciousness, it gets pushed back into the shadow. As long as the lazy person remains our enemy, it forever haunts us. So here’s the problem: we believe we have a choice between being achievers or lazy people. In the prevailing cultural view, being an achiever means we’re successful. Being a lazy person means we’re a loser. We don’t want to be losers. As achievers, we want to win. But this divide between winners and losers—achievers and lazy folks—is an illusion born of ignorance. The reality is we can be both a lazy person and an achiever, or we can be neither. We can’t be one or the other. Some of us identify ourselves as achievers (and over-achievers), pushing our lazy part into our shadow. Other people see themselves as lazy, suppressing their proactive, achieving part. Both a lazy person and an achiever live in us. We are neither of these archetypes, but they are both within us. Most of our efforts in personal development and self-discipline are attempts to cage our lazy part. How do we try to overcome laziness? We hate, criticize, attack, and condemn it. This approach, however, only strengthens laziness. In the end, this unconscious force wins. We get sick. A disease forms. We develop an acute, chronic pain somewhere in our body. Shun the lazy god and it sends its wrath upon us. As a child, we had no responsibilities. If we were precocious children, we asked lots of questions and explored the world with curiosity and awe. Or, if left alone, maybe we entered a quiet, Zen-like state, absorbed in the present moment. But soon, our environment molded our minds. Our parents had the burden of responsibility for themselves and us. As mature adults, this would not feel like a burden, as they would be ready for this stage in their life cycle. But according to developmental psychology, few people ever reach mature adulthood—and almost no one does so in their 20s and 30s when they are raising children. Some of us heard our parents say these words while others absorbed the message in their subconscious. Judgment breeds laziness. Almost always, it’s instilled in us early on from our parents and then from our teachers. Most of us didn’t like school, and we didn’t enjoy homework. Why would we? Our school systems make learning a tedious chore (which is one way they kill creativity in children). Our lack of engagement in our education fueled our lazy part. Plus, there was television and video games. Sight, sound, and motion stimulates our brains and dominates our attention. Game over. In childhood, our environment gives birth to the lazy part. Then, most of us seek ways of overcoming laziness. Alternatively, we run from it or succumb to it for the rest of our lives. Like procrastination, laziness is a symptom, not a cause. Before we explore ways of overcoming laziness, it’s helpful to understand the various causes of laziness. It’s important to hear these voices or thought patterns and to accept them without judgment or criticism. Behind each voice is a message. These sentiments provide information, nothing more. Let’s look at each thought pattern and find ways of how to overcome laziness. This voice might tell the truth. At this moment, the part expressing this voice doesn’t know what to do. When you hear this voice, start by finding your center. Welcome the confusion. It will pass. And clarity will become. You can also ask your Inner Guide for further insight. Real fear evokes the flight or fight response. But laziness often comes from neurotic fear. Instead of fighting for what we want or fleeing to fight another day, obsessive fear makes us freeze. We feel immobilized. 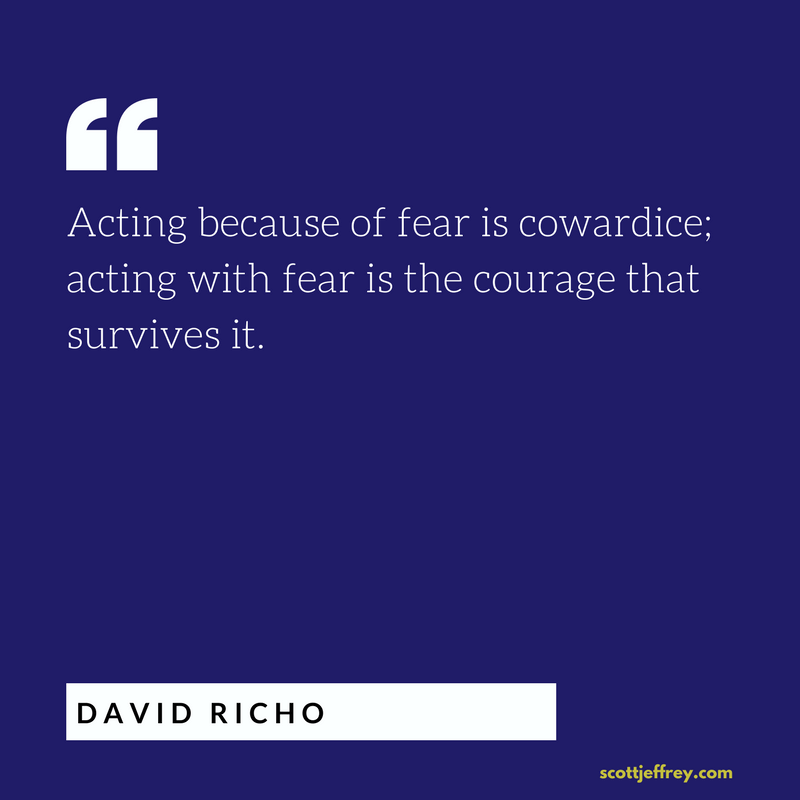 To overcome neurotic fear (thereby overcoming laziness), admit your fear, allow yourself to feel it, and then take action. To transcend neurotic fear, we must do what we fear. A fixed mindset is a popular term from psychologist Carol Dweck’s bestseller, Mindset: The New Psychology of Success. With a fixed mindset, people believe their talents, abilities, and intelligence are set at birth. They fear trying new things because they want to look smart and talented even though they lack experience. Individuals with a growth mindset, in contrast, know their talents, abilities, and intelligence can develop through deliberate practice. We invest a lot of energy suppressing our lazy part. The more we run from it, the stronger it becomes in our unconscious. When you feel lethargic, instead of stimulating yourself with caffeine, accept your fatigue. Achievers, in particular, can use less activity and more naps. Close your eyes. Observe your breath. Better yet, go to bed earlier and sleep more. Embracing the lethargy is often the best way to move beyond it to overcome laziness. You can also practice energy cultivation methods like Zhan Zhuang or grounding exercises. If that doesn’t work, try a cold shower. Apathy is the voice of depression. We all get depressed. In my experience as a coach, achievers rarely realize when they’re depressed. They just “power through it.” As with laziness, when we fight depression it grows stronger. There are many sources of depression. Sometimes we are living off our true course, doing too many things outside of our interests. We confuse disinterest with laziness. If you hear this voice, connect with an inspiring personal vision and discover your personal values. Having regrets is a part of adulthood. Regret only holds us back when we don’t allow ourselves to grieve the past. These voices are just beliefs, not truth. They are excuses not to get started right now. Letting go of a regret can be a fast way to overcome laziness. When we hear this voice, it’s a sure sign the lazy part has hijacked us. When we’re centered, we are neutral. We don’t define ourselves as either lazy people or achievers. We just are. Shame is another part in us that teams up with laziness. Shameful thoughts and feelings ensure the lazy part stays in control. Shame and self-criticism reinforce undesirable behaviors. Self-compassion enables us to take responsibility and establish different behaviors. Being lazy is okay. It doesn’t mean anything about you. Everyone has a lazy part. You’re not alone. Sometimes overcoming laziness is as easy as accepting this part of you. We have all had people judge us for our laziness. But anyone who judged us was denying their lazy part and projecting it onto us. We didn’t know what was happening, but we felt shame and guilt for our laziness. If we are aware of this shame and guilt, we can resolve it. However, many of us lack the emotional intelligence to navigate through these emotions. Instead, we do the same thing to other people: we cut ourselves off from our lazy part and judge others for their laziness. Rather than fighting with the lazy part, embrace it. Dialogue with your lazy part and get to know it. Welcome laziness, befriend it and allow it to be. Whether or not we want it, this lazy part is in us. Best we make friends with it or at least become neutral towards it. How do you know if you’re making friends with your laziness? You won’t be hard on yourself when this part takes over. You also won’t criticize others possessed by this part. Instead, you’ll have compassion for them for you will understand their inner battle. Rather than placing shame, guilt, and criticism on ourselves or others for being lazy, we can practice self-acceptance and self-compassion. Studies show people who have self-compassion are more likely to take personal responsibility than those who self-criticize. The fear of laziness taking over drives achievers to fight against it. And although some people exert a strong will against their lazy part, for most people, the lazy part has already won. That’s why habits, willpower, and motivation are popular topics in psychology and self-improvement circles. 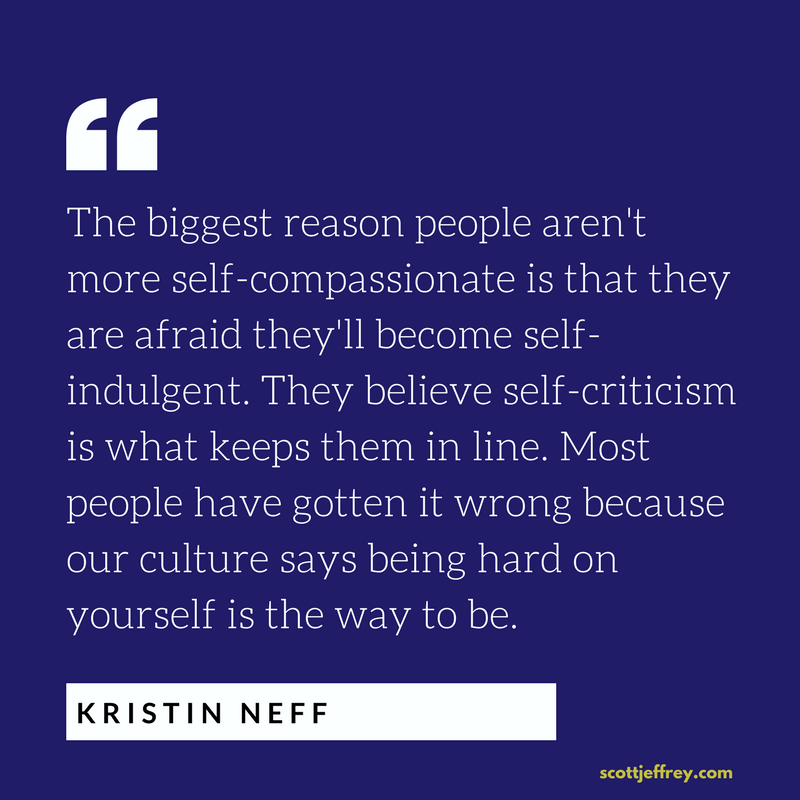 The biggest reason people aren’t more self-compassionate is that they are afraid they’ll become self-indulgent. They believe self-criticism is what keeps them in line. Most people have gotten it wrong because our culture says being hard on yourself is the way to be. Self-compassion, not self-criticism, will inspire positive growth. Ultimately, both laziness and over-achieving are signs of mental imbalance. The source of this imbalance lies in repressed emotions and conditioned behaviors. Operating from either end of the spectrum is not a sign of self-leadership or mature adulthood. As mature adults, we can accept limitations, and be kind toward ourselves. Our job is to bring these internal opposing forces into balance. One reason many of us struggle in overcoming laziness is we never allow ourselves to be 100 percent lazy. Laziness persists when we resist it. Even when we give into it, if we aren’t aware of the shame or guilt, a part of us resists and judges our laziness. That’s why it never let’s go. Truly lazy people shouldn’t hold any muscular strain because holding tension takes effort. And lazy people don’t like effort. Lazy people shouldn’t have shallow breathing (from their chests) because that too is a sign of holding tension. Embrace your lazy part and experience deep rest—perhaps for the first time. Your body will thank you. We can use our lazy part to relax deeply. If we do, we’ll feel less neurotic (anxiety, depression, and moodiness). We won’t need to sedate ourselves with food, television, the internet, etc. (the reasons many of us struggle with impulse control). Also, it’s important to distinguish between doing nothing and avoiding responsibility. Our cultural bias says doing nothing is slothful. But is it? When meditation was introduced to the American culture in the 1950s, most psychologists believed it was a form of escapism. Now, with the help of neuroscience, we know otherwise. Mindfulness practices provide a solution to our obsession with busyness. In doing nothing, we observe within ourselves and our environment. We see things differently. Experiencing sensations and emotions more deeply adds new texture and dimension to our lives. Sure, we have nothing to show for these experiences, but “achievement” is only important to one part of us (the Achiever archetype). And we’re not defined by this part. Instead of trying to do more or be more, consider accepting yourself as you are right now. This, I’ve discovered, is often easier to say than do. In the long run, personal attacks won’t lead to meaningful change, fulfillment, or higher performance. It will only create a stronger ego and more self-hatred. Build your personal development plan on self-acceptance instead of self-criticism. It makes all the difference in your efforts at overcoming laziness.